Professional Website Design Bandung Indonesia, let us introduce ourself as professional website designer from Bandung, Indonesia. The advantage of a website is vehicle sales, better communication, introducing company profile, bring in prospective customers, the company’s official publications, branding, ease of providing information, professional impression, get a new partner, etc. Website representation of you or your company profile on the internet. Reach a wide audience without limitation. Any person accessing the internet will know the area which is your field of business, product and services from your company. That was a reason for you to have our services. 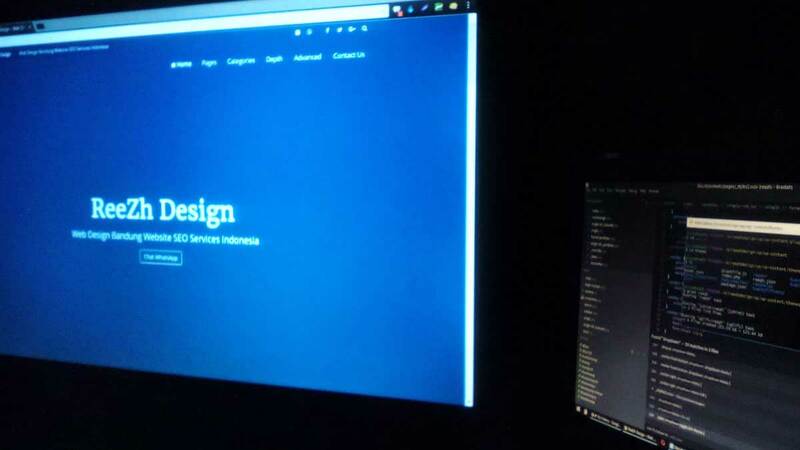 Bandung is our home base, we are a manufacturing services company in the form of Web Development. We create websites for personal, small businesses, corporations, schools and organization. Every website will be very different from each other depending on option packages selected by customers. Each package would have its own advantages in terms of design, facilities, and services. Significant differences among types of HTML pages and CMS. HTML is a website package that has a static page without changes in terms of design the look and content. Very different than the package CMS (Content Management System) which offers a web page that is not limited. You can made additional articles or content either by administrators or users of the website. With a growing number of articles contained in a website. It will be likely listed in Search Engine listings.